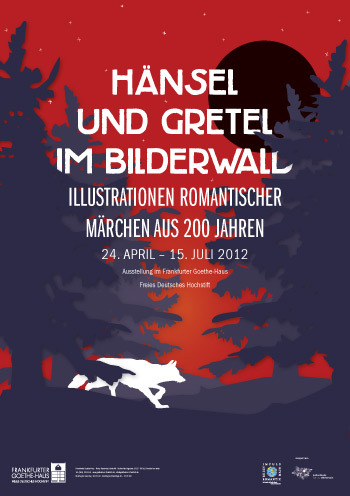 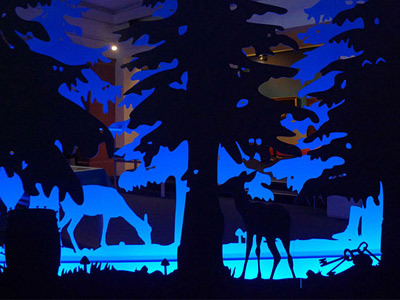 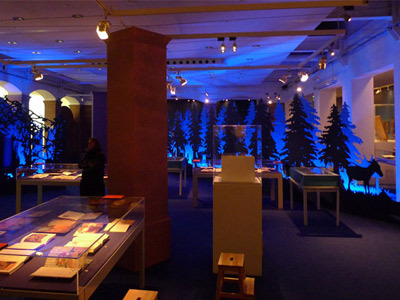 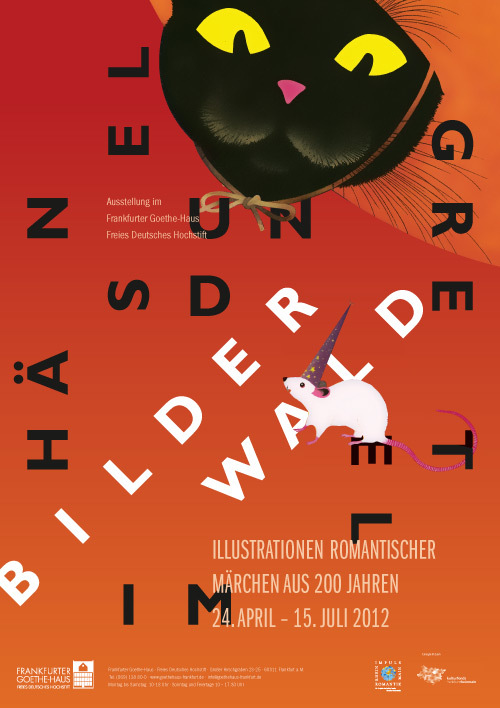 The exhibition at the Frankfurter Goethe-Haus presented fairy tale illustrations of about 200 years. 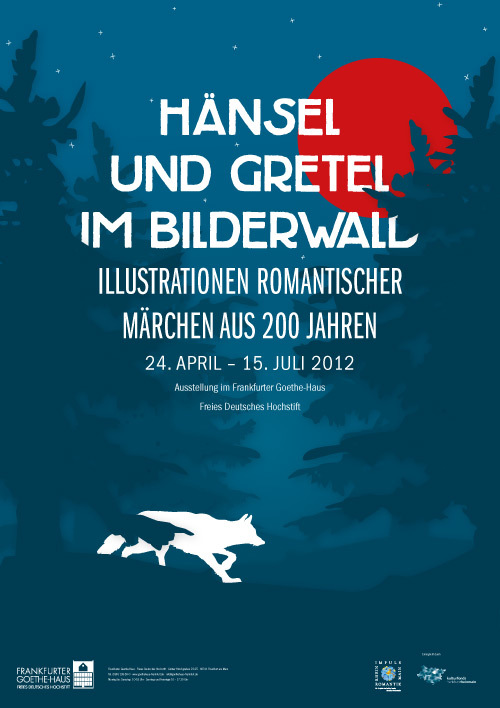 We were asked to design a poster, which could also be used as keyvisual in print advertisement or facade banners. 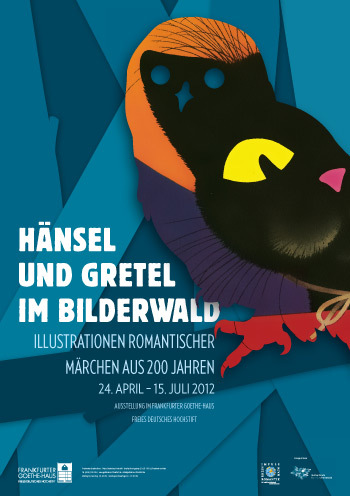 Two of the layouts feature the illustration “Der gestiefelte Kater” by Herbert Leupin, 1946.